Dragons. They are slightly important to Guild Wars 2…being as the plot basically revolves around trying to stop them from destroying the world. When it comes down to it, we don’t know much about the dragons themselves, though. We know how many Elder Dragons are threatening Tyria – five – but we still lack the name of one, the deep sea dragon (nicknamed “Bubbles”). We know that they have minions, as well as each having their own champion. Or at least, they each did – Primordus’ original champion was the Great Destroyer, who was destroyed in Eye of the North, delaying Primordus from awakening. His second, the Destroyer of Life, was destroyed by Destiny’s Edge. But has he created/procured himself a new champion? My guess is that it would be another particularly large and powerful Destroyer, but as of yet, we don’t know. 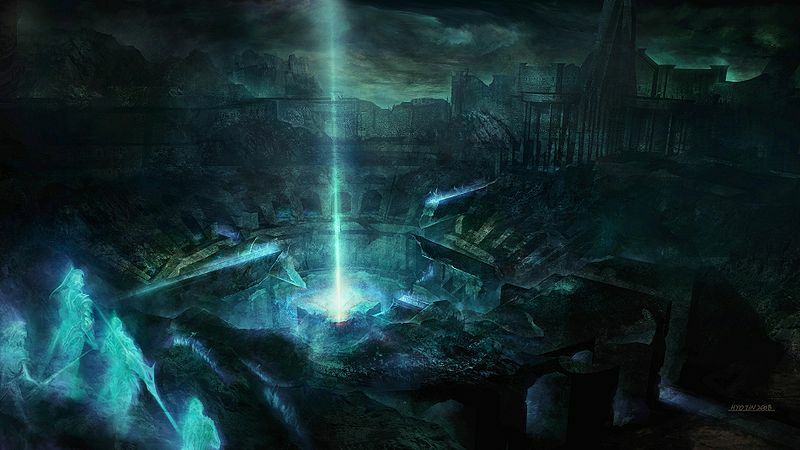 Perhaps it’s something that we won’t know for a while, since Primordus lurks underground, but even so. 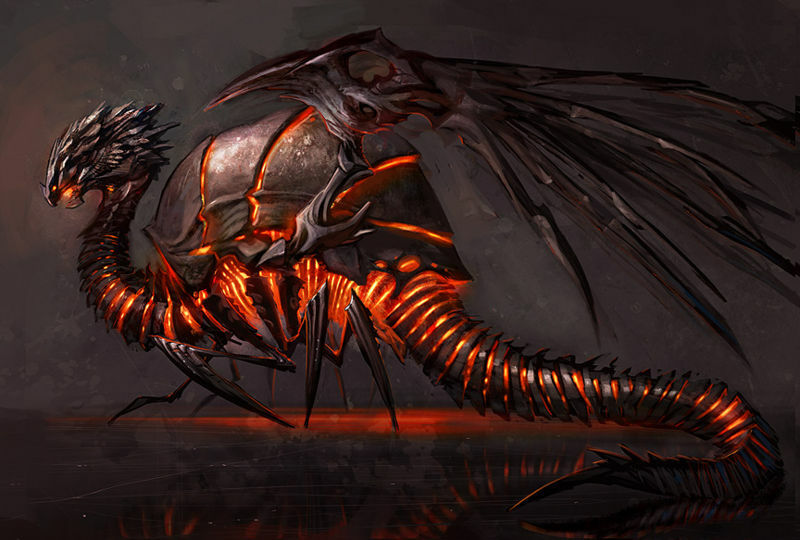 And that of course raises the question – just how is a dragon champion created? Glint had been Kralkatorrik’s champion for centuries of years; her ability to see into minds caused her to turn against her master and hide in the Crystal Desert. 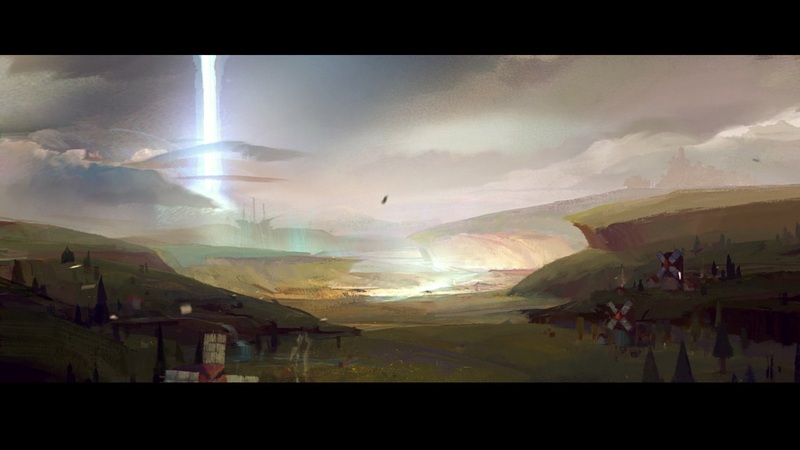 GW2 Wiki says that she was created with the goal of protecting her master, but…just how was she created? 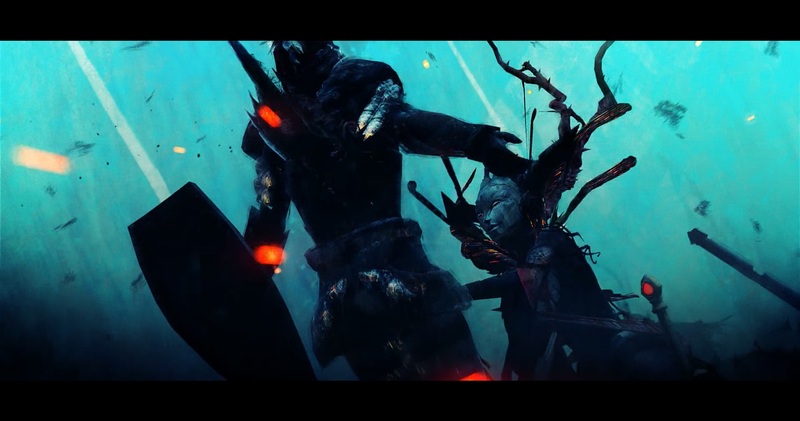 Morgus Lethe, Zhaitan’s former champion, was “corrupted” by Zhaitan, but we don’t know much about this corruption other than sylvari are immune to it. 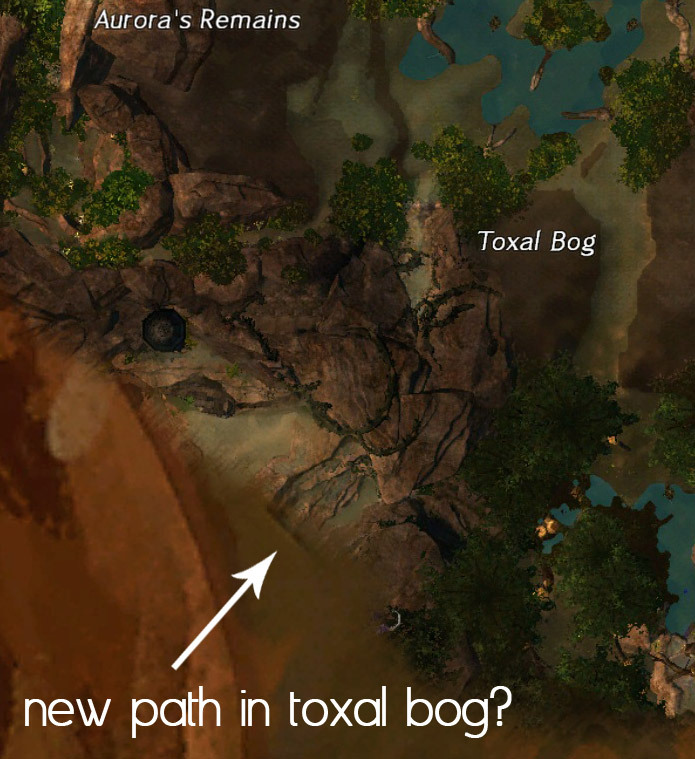 So far that we know of, both Zhaitan and Kralkatorrik have replaced their defeated champions, their new ones being Tequatl the Sunless and the Shatterer. The fact that both are dragons themselves (champions do not necessarily need to be dragons) brings about the question of just how many dragons currently exist in Tyria? In GW1, undead dragons in certain Krytan areas were…not quite common, but not uncommon either. 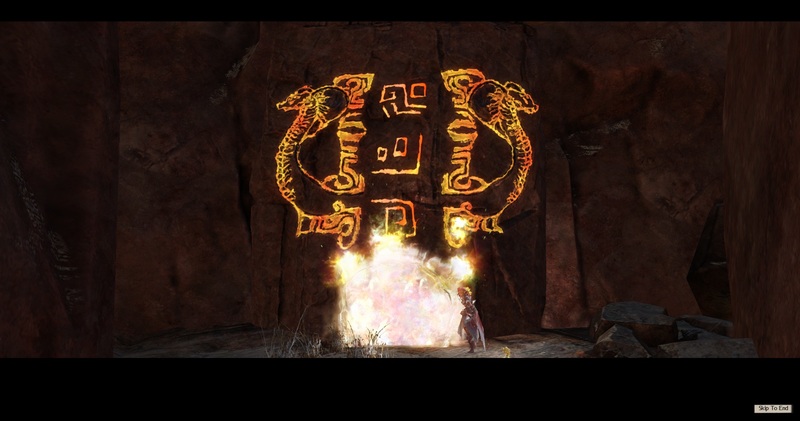 Cantha had Saltspray Dragons. There were also creatures that were classified as dragons, but the resemblence was less – Drakes and Bonesnap Turtles for example. These lesser ones were more common, but somehow I doubt they would make suitable dragon champions. Tequatl could be a reanimated undead dragon (think Rotscale, but nastier), made to fight for Zhaitan. The Shatterer - not a happy crystal chicken. The Shatterer is a bit more of an enigma. There were no dragons living in/around the Dragonbrand that we knew of in GW1, except for Glint herself. So where did this dragon that Kralkatorrik corrupted come from? 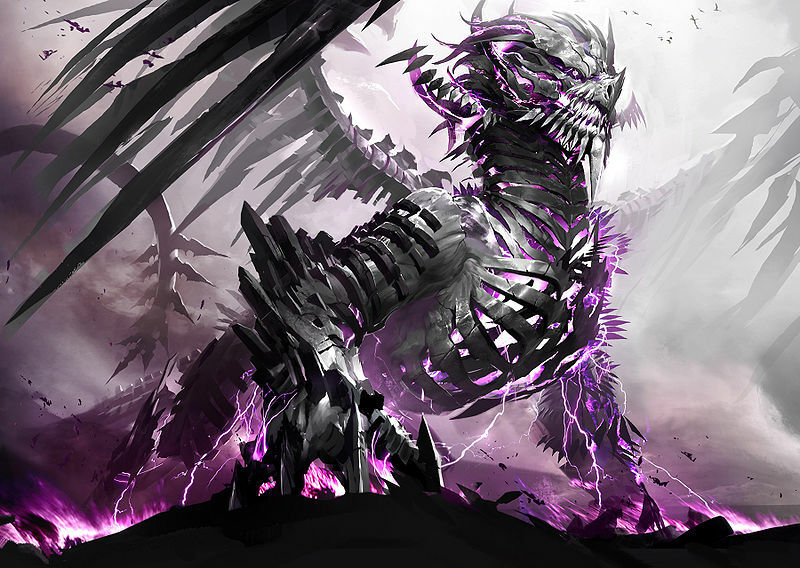 And would any random dragon work, or would it need to be a crystal dragon, like Kralkatorrik and Glint themselves were? And connected to that…Glint had a child, the baby crystal dragon that we protected from Destroyers during Glint’s Challenge in Eye of the North. We don’t know the fate of this baby dragon – if it’s still alive, if it was corrupted by an elder dragon or not, or where it is. Jormag’s champion was destroyed; as of yet we don’t know if he has a new champion, or what it is. 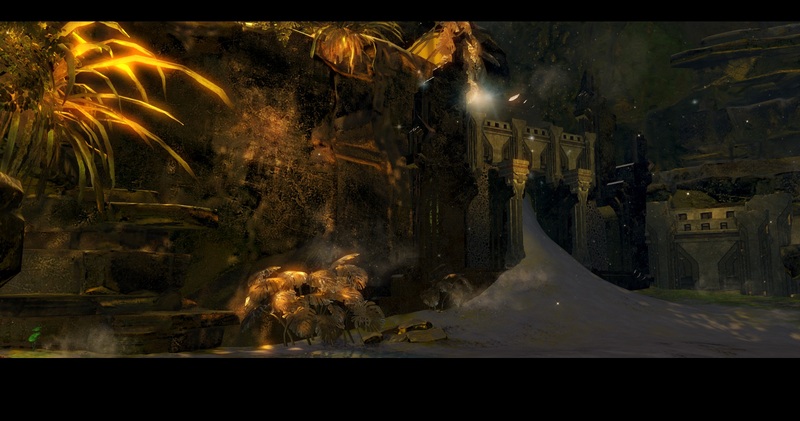 Nor do we know what happened with the dragon frozen within Drakkar Lake in Eye of the North, or why Jormag had created the Dragonspawn instead of awakening his old champion. And then there’s Bubbles, which we know almost nothing about, including its name. It’s an underwater dragon, its awakening coincided with the krait invading the quaggan lands, and it can create creatures from the water but…that’s about it. We don’t know what kind of champion it has, or if it even has one. …also, I totally want to see an NPC in-game refer to the sea dragon as “Bubbles”. Just sayin’. 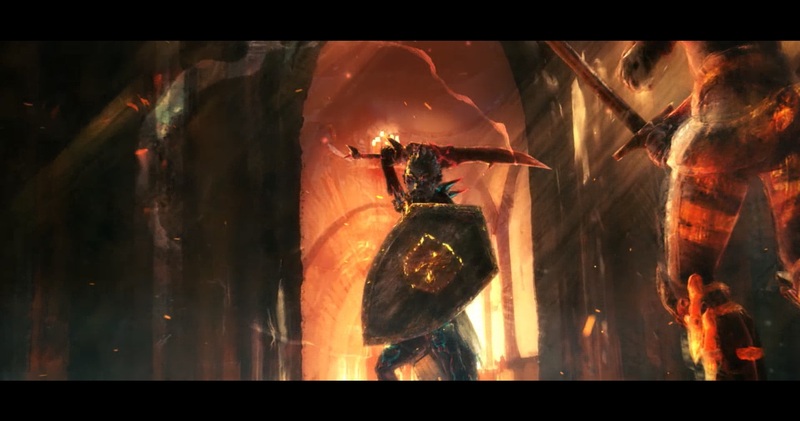 Today the page for sylvari on the Guild Wars 2 website was updated, detailing the little bits of information we had before, as well as adding new information, screenshots, and an amazing video (seriously, if you haven’t watched it yet…go do so). There was one bit of information in that page that struck me as very interesting, though. Interesting, and unusual, and it got me thinking. Now, any of those three possible explanations could work. Maybe the Pale Tree does grant them some sort of magical protection against the corruption of the dragons. Maybe their plant biology prevents it from happening somehow. Maybe the dragons simply are carnivores. We don’t know. 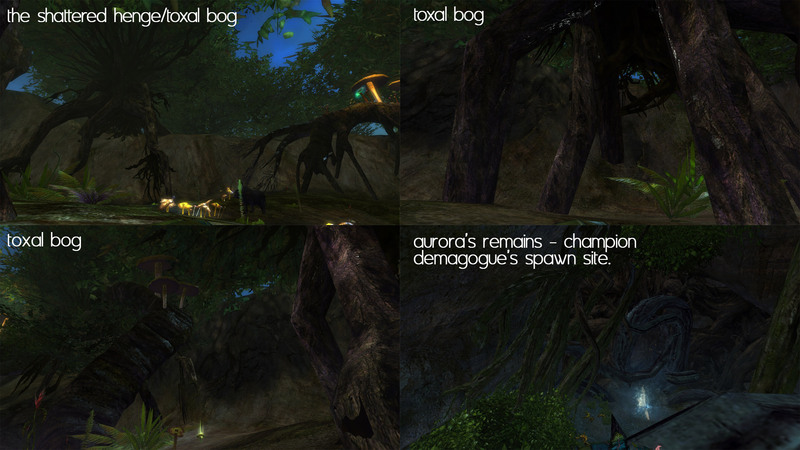 But there was something from the blog post about writing the sylvari that also stood out to me. Essentially, sylvari lack the prejudices and that the other races have. They have a strong sense of honor, and stand by it. They’re highly curious and wish to experience all they can. And while sylvari are capable of love and loving (in all manners of the terms), they do not reproduce, and hence do not subscribe to human-style gender roles. Who they love is not defined by gender. In short, as they lack the typical prejudices that the other races have developed, they are likely the only one of the races of Tyria that is capable of truly capable of accepting everyone and anyone as they are. This doesn’t mean that they’ll necessarily tolerate evil (they hold a strong hatred of the dragons, for example), but if you’re someone who doesn’t fit whatever norms your society dictates? A sylvari may as well be your best friend. They’ll be curious about you, but they won’t judge you for it. They’ll just accept that as being you. What do these two points have to do with each other, though? Well, you’ll have to bear with me, as this is just speculation on my part, but I do believe that it does make some sense. The reason why sylvari cannot be corrupted does not have to do with any magical protection, or their biological (botanical?) makeup, or the dragon’s opinions on salad. Rather, it is because of the race’s high sense of honor and lack of prejudice. They find all new information as something to be explored, not shunned, and are too young, as a race, to have developed the sort of prejudices that plague the other races. Essentially, they are too pure as a race, and lack any corruption within themselves for the dragons to take hold of and twist to their advantage. The other races do not have this advantage; they are old and have learned prejudice, both personally and as a society, and even the most heroic person will have a seed of negativity within them that can be used to corrupt them. Of course, I could be incorrect, and there are some things we don’t know about. Are the Nightmare Court as equally free from the risk of corruption? 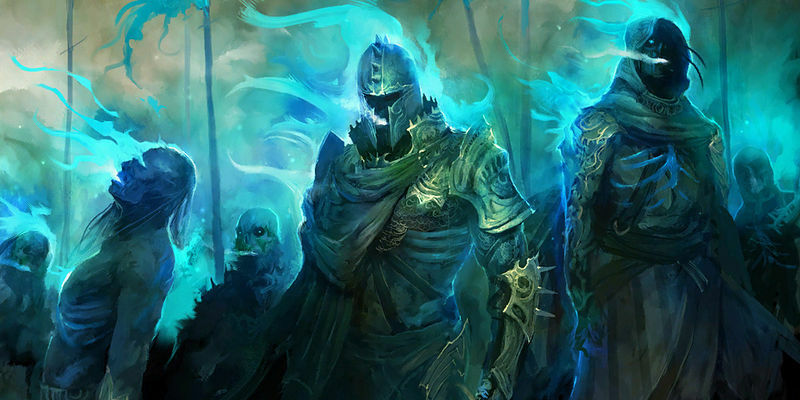 They are merciless and believe that Ventari’s teachings have twisted the Dream, and that they are the true sylvari, and explore the darker side of things. If they are also incorruptible, then that’s a sort of wrench in my theory, but at this point we don’t know – and I doubt the Nightmare Court really have gone out seeking to fight dragons, preferring to add their nightmares to the Dream to try and win over the Pale Tree. The other big question is, will the sylvari always keep this ‘purity’ and lack of corruption? After all, they love to learn and experience new things. Tyria is a harsh world. 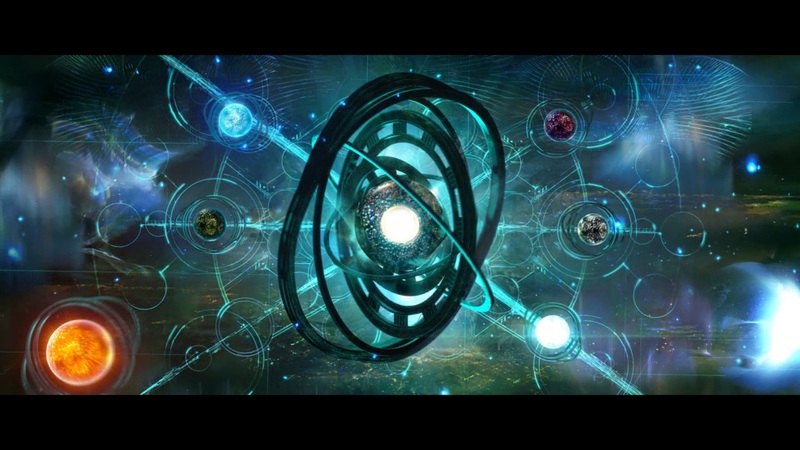 They are a very young race, but as they age (individually and as a whole) and learn more about the world and how things work, is it possible for a sylvari to become jaded and perhaps learn some of the prejudices present in other races? Again, we don’t know, and at this point in time it’s impossible to tell, I think. I am also assuming that the corruption of the dragons uses and takes advantage of the negativity and fears that are within everyone. This could be the case, or it might not be! This is just an idea, after all. I could be way off, but I feel that there’s a good chance that the inability to be corrupted and the race’s sense of honor and acceptance could be linked. Why do you think the sylvari can’t be corrupted by dragons? 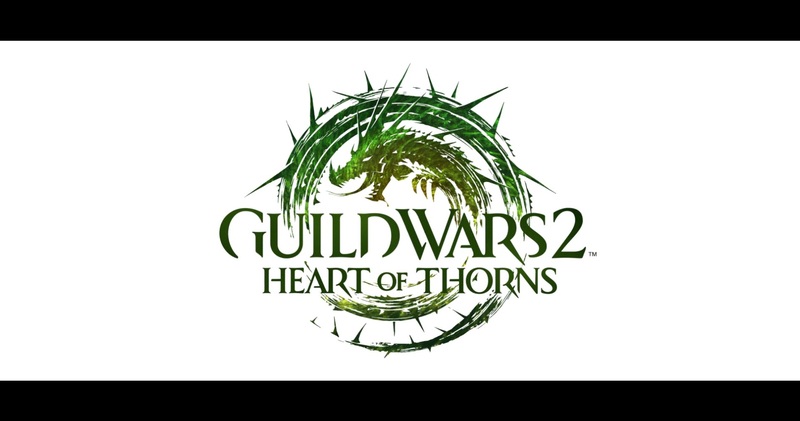 If you know me, there’s something about GW2 that you know I’m waiting very impatiently to hear about (well, two things. This is about one of them). If you don’t know me well, then it should be clear, at least, from this blog’s name and design that there’s one race in particular I love. Yes, the sylvari. That mysterious race of human-like beings, born from the Pale Tree in the Grove. But just who are they? At this point, we don’t know a huge amount about them. 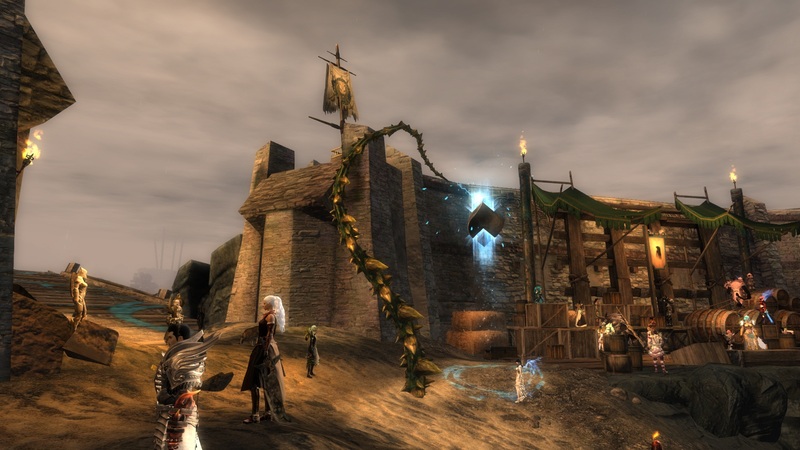 They’re a brand new race, not appearing at all in the first Guild Wars game, though you can visit the area that becomes the Grove and that houses the Pale Tree seedling in Eye of the North (it’s on one of the islands in the middle of Arbor Bay, if you haven’t yet seen it). We’ve yet to see their race week. In fact, at this point, we don’t really know how they’re going to look! So, then, what is the allure of them? The fact that they are so new and different is certainly part of it. We know that it’s possible, and probably likely, that the idea for the sylvari originally came from the sidhe, a race that was designed for Utopia. That, in turn, they were likely inspired by the aos sí/aes sídhe of Irish mythology. That in itself makes them unusual; while fantasy games always draw heavily from legends and mythology (and Guild Wars is no different), usually if there’s an elven or fae race, they are based on Tolkienesque elves. Here, that is not the case. Irish fae are not Tolkien elves, even though there are elves amongst the fae. Irish fae cover a number of different types of faeries and elves, some of which are generally good and peaceful, some not so much. They were often referred to as nature spirits, care was taken to not offend them, they were often seen as fierce guardians of their homes (often a special tree or grove, faerie ring, or mound), and they were described as inhumanly beautiful, but sometimes terribly so. It’s not really a mythology that’s been used much in games. Sure, Rift has the Aelfwar, which draw from Irish myths, but for the most part, elves in that game (and any game) are based more on Tolkien’s elves. Mysterious, aloof, ancient, unchanging. The sylvari are most certainly not that. 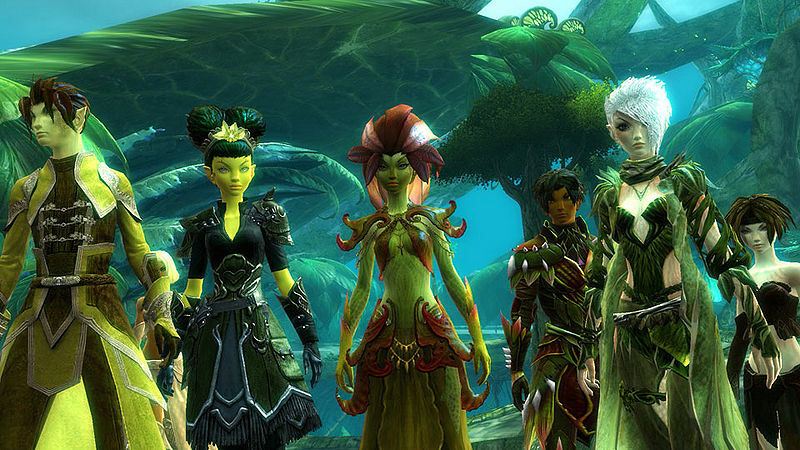 They are a brand new race; as of the time of GW2, the oldest sylvari is only 23 years old. They may seem a bit apart from the rest of the races, but that is simply because they are so new and do not have the prejudices that the other races have build up. Mysterious, yes, but also curious. Endlessly curious. A sylvari, newly born from the fruit of the Pale Tree, will want to do learn about everything she can see. They are born with the knowledge and intelligence that those came before had, but they want to learn things on their own. Experience things themselves. Become their own person. They tend to be very direct and honest, and somewhat lacking in tact; if there’s a subject that another race would tiptoe around or not mention at all, you can trust a sylvari to bring it up anyway. They take things at face value and are seen as naive. Death is not something they completely understand; their fascination with it and trying to understand it can come off as slightly disturbing to other races. 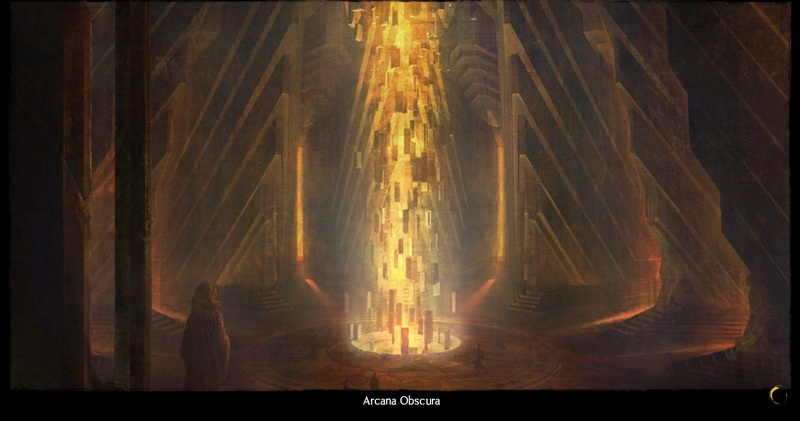 They hold an agnostic view of the human gods, wanting to see proof of their existence before believing. And then there is also the Nightmare Court. 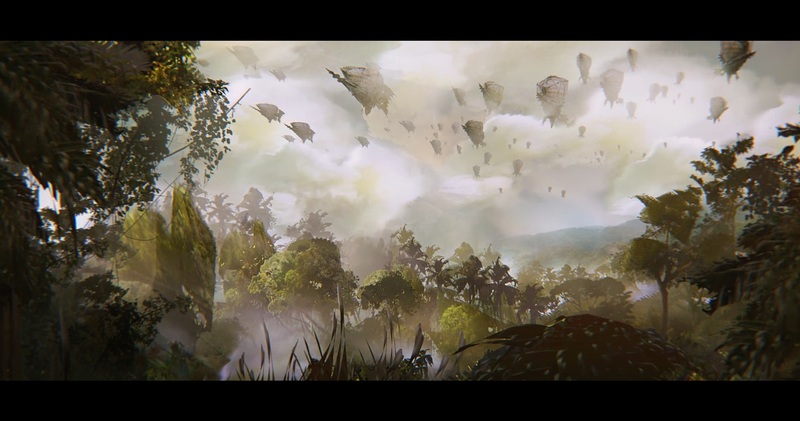 Within the Dream of Dreams, the connection with the Pale Tree that gives a newborn sylvari their knowledge, there are terrible nightmares, which they do not understand. There are some sylvari who have chosen to embrace those nightmares. They attempt to understand them, while committing acts of evil. They wish to eventually corrupt the Pale Tree itself with this evil and depravity that they embrace. Definitely not very Tolkienesque, right? Of course, the biggest thing everyone is waiting for is the reveal of their redesign. We don’t know how they’re going to look yet! Supposedly, the redesign was completed back in October 2010, but no news has been released about it. No images, no new concept art, no videos, nothing. 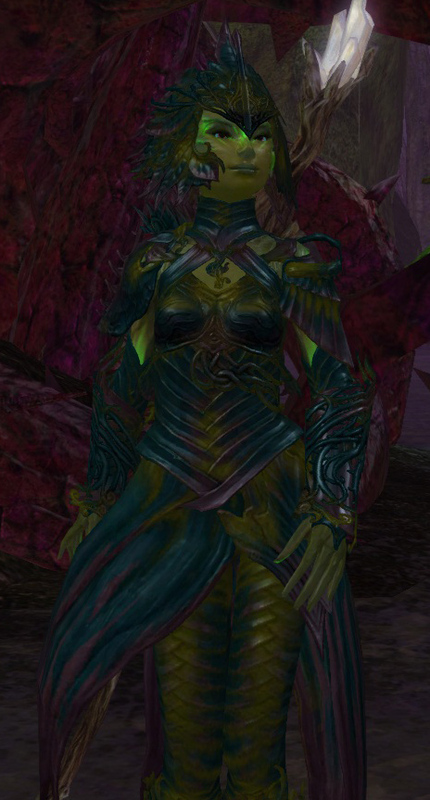 Every release has very conspicuously excluded the sylvari. We don’t even know how much was redesigned; if it was just something small like redrawing the faces to look a little less human and more fae, or if they were completely redone from the ground up. Personally, I am hoping for something less human and more fae. I like the green and brown of the skin colors and leafy hair shown in both concept arts and screenshots of their old design, but I’d like that to be pushed further. Exaggerate their facial features further. Make their eyes larger and maybe have the iris be all that’s visible. Smaller noses, sharper cheekbones. They’re human-like, yes, but they should be immediately recognizable as non-humans. 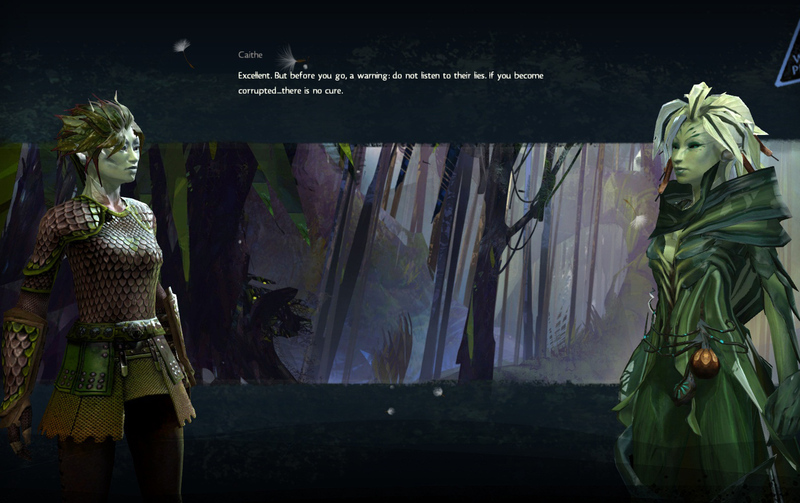 The only sylvari tidbit I saw from the fan open house was that in character creation, you can select sylvari patterns. I’m assuming that this means facial markings and skin patterns, something which you can see a lot of in concept arts. I sure hope so. I wish there was more information on the sylvari. I wish we could see the new design already, and I do hope that it’s announced soon. And I’m sure I’m not the only one. 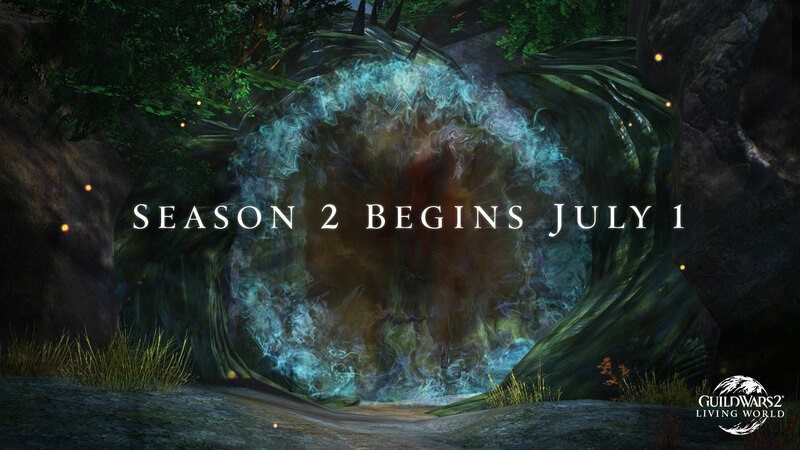 And so, I leave you with a question – what do you think of the sylvari, and what are you hoping for when they are officially revealed?